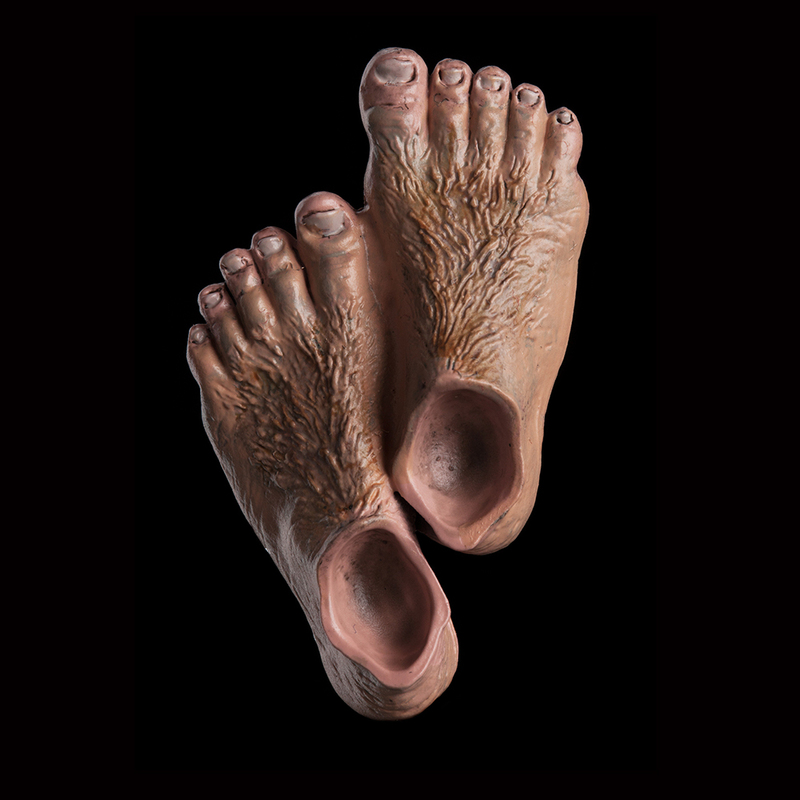 Disproportionately large, beautifully hairy and seemingly unaffected by harsh climate and conditions, hobbit feet have been the envy of many a Middle-earth fan since the days of The Lord of the Rings trilogy. Now you can own a miniature pair. Designed by the artists at Weta who worked on The Lord of the Rings, it forms part of our range of collectible magnets from Weta. A range with a practical twist, as well as an opportunity to arrange your favourite keepsakes from Middle-earth wherever you can find a magnetic surface. Made from resin with a strong magnet.